In 1996 I auditioned the CD6 against Sony, Rotel and, as a high end reference, a Meridian CD player. The CD6 was closer to the Meridian in performance than the two Japanese players. This was not a subtle difference but it is difficult to explain. The two Japanese players were very clear and performed well, but the CD6 gave a more musical less ‘etched’ presentation. It’s not the most elegant design, in fact it’s very functional. The plastic cover over the display came away after a few years. I still have the player and it still performs well. You can probably find a more reliable player for $69 at Wal Mart. Vents on top of the player allow dust to fall onto transport mechanism, aggravating the player's tendency toward skipping. This review is for the latest incarnation of the CD6, the CD6d tubed player with 24-bit/192 khz DACs. I bought it at a considerable discount from AMC after a NOS CD6b from a dealer failed to read CDs. Sonically, it's the most lush, revealing player I've owned, especially after replacing the stock JAN-Philips 5814A tubes with Siemens computer-grade 12AU7s. (News to the AMC customer-support department: The player uses 12AU7-type tubes, not 12AX7s as I was informed via e-mail.) It's another story, though, in terms of reliability and ease of use. Here are a few of several complaints in that department: The player's ability to land at the very beginning of a track is approximate, especially if you skip tracks; track access is very, very slow; using the remote produces variable results (e.g., often if you skip, say, to track 3 using the remote, the disc will insist on playing from track 1 regardless); it's quite prone to skipping, despite being placed on brass cones that pretty much anchor it into place. Part of the skipping problem may be due to the fact that the player is ventilated on top--therefore providing a handy entry point for dust particles to fall right onto a spinning disc. If you can keep the reliability issues under control, it's one sweet-sounding machine--but for the money (list price is in the $1,000 range) there are certainly more dependable players out there. The hands that forced the stock tubes into their sockets (the prongs on the stock tubes were quite bent) probably aren't too careful about workmanship, either. This is the CD-6b with vacuum tube output stage, socketed tubes, quad D/A converters (24/96 Burr Brown) and XLR Balanced Outputs. After trying Sony ES, Denon HDCD, Harmon Kardon I found Nirvana. 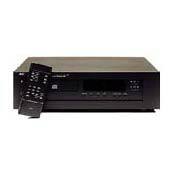 This is a very good CD player with excellent build, smooth yet detailed output all for around $700 dollars. I could not be happier. Has a high quality Phillips transport and with the socketed tubes, I replaced the standard JAN-Phillips with RFT NOS and this is a very revealling player. Vocals are smooth and clear. I have it hooked up to a AMC 1030as socked vacuum tube pre-amp with balanced cables. Speakers are Dynaudio. So folks, while I wait for DVD-audio and SACD dust to clear, this is my player for the CDs. I have listed to SACD, this player is really really close. And, AMC is a very good company to work with. For the money, you cannot do better. After 6 months of trial and error, it is the perfect balance. Try AMC products at www.amchome.com. 5 stars, super bargin, 4 stars, very good product, but there are always as good or slightly better (ever so slightly) for thousands more. I dont actually own or have purchased this unit but that doesnt mean that I cant praise it. I have spent many hours listening to My Uncle's H.O.M.E. automation series 1993 CD-6 it sounds wonderful when you connect an X-cans by Musical Fidelity tube headphone amp to it and wear a pair of sennheiser 580 precisions or 565 ovations. I have been talked into writing this review based on my long search for a new CD player. I have been looking to replace a cheapo 12 y/o panasonic CD player with a component more in line with the rest of my system. I had initially been very strong on the Rotel RCD971 CD player as the rest of my system is Rotel, but wanted to listen to other makes. I listened to the AMC CD6 and to the Cambridge D500. I found the sound of the AMC was nearly identical to the Rotel, but for nearly $200 less in price. The only difference was the Rotel has an HDCD compatible DAC, where the AMC doesn't have an HDCD decoder. Even with HDCD's I could not really hear a difference between the two. The biggest surprise was in comparing the AMC to the Cambridge, the Cambridge has a very subtle, but noticable echo about 1/5 of a second out. The AMC didn't. The other significant difference was with the soundstage, the Cambridge had a much larger sound stage, but it was at the cost of clarity. I found the AMC was much more focused and precise. This lead to the soundstage sounding much smaller. There was also a difference in the bass, the Cambridge seemed to be more boomy than the AMC, but only in the bass regions, they were very similar in the mid/high range. Overall, I was very impressed with the sound quality, imaging, and accuracy of the AMC. For the price, it was the best I could find. I have an order in to get the available tube output stage, I'll post an updated review once it arrives. All comparisons were done on the same equipment, in the same room by switching between the two CD players in real time. I had a few friends over and we have several overlaps in our CD collections. I was able to do a realtime A/B test on several different styles of music. Storngly recommended approach as it allows you to really hear the differences between the two components.